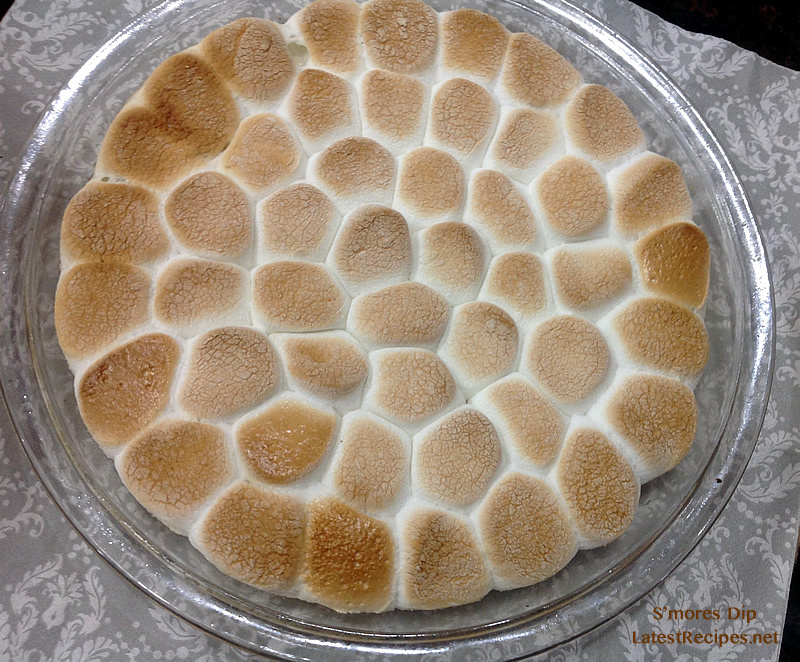 My kids and I enjoyed doing this super simple s’mores treat. It’s a fun activity to do on weekends with the family. This is so easy to do older kids can definitely do it by themselves just remind them to be very careful as the baking dish or skillet can be extra hot. My daughter had a baking session at her friend’s house, she went home with a pack of marshmallows and graham crackers. I asked her what did they bake and where is it? She told me that they tried to make s’mores recipe they saw at buzzfeed but they weren’t able to finish it, and it was already time for her to go home. She asked if we can do it at home and showed me a photo of what they were trying to make, so I googled it and found a detailed recipe here (thank you for sharing!). It really is so easy, I think it can be done without the oven at all if you have a kitchen torch to brown the marshmallow. 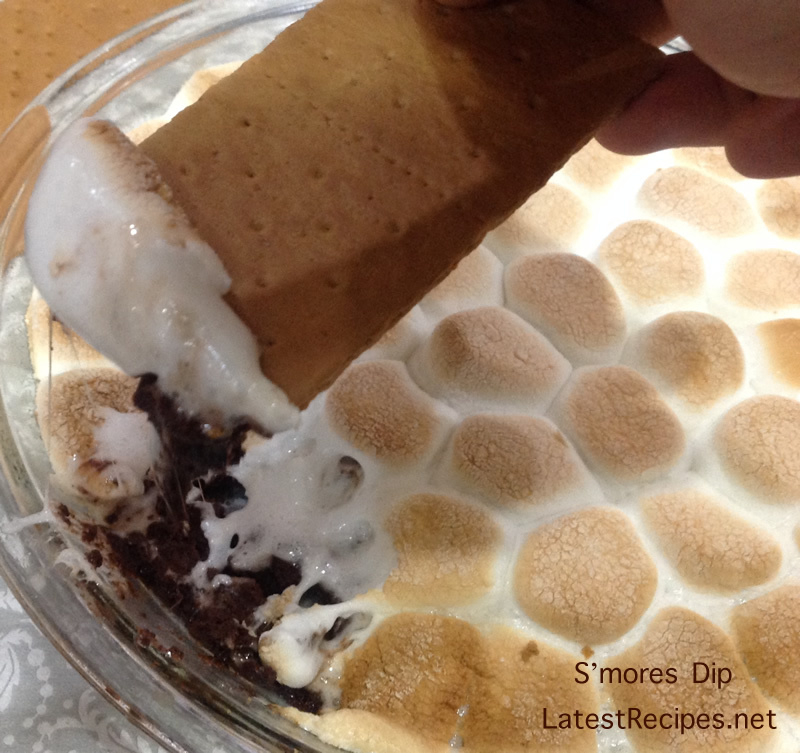 It’s S’mores but made easier because instead of making little graham sandwiches, you’ll dip the cracker into gooey chocolate and marshmallow..yum! then the marshmallows on top..
Yum! Not a good photo, I know .. but just to show how gooey it is. Careful, it’s hot!! Preheat oven to 450°F with pie plate or baking dish inside. Once oven is preheated, use a pot holder to remove hot baking dish from the oven. Place pat of butter in the baking dish and swirl to coat the bottom and sides. 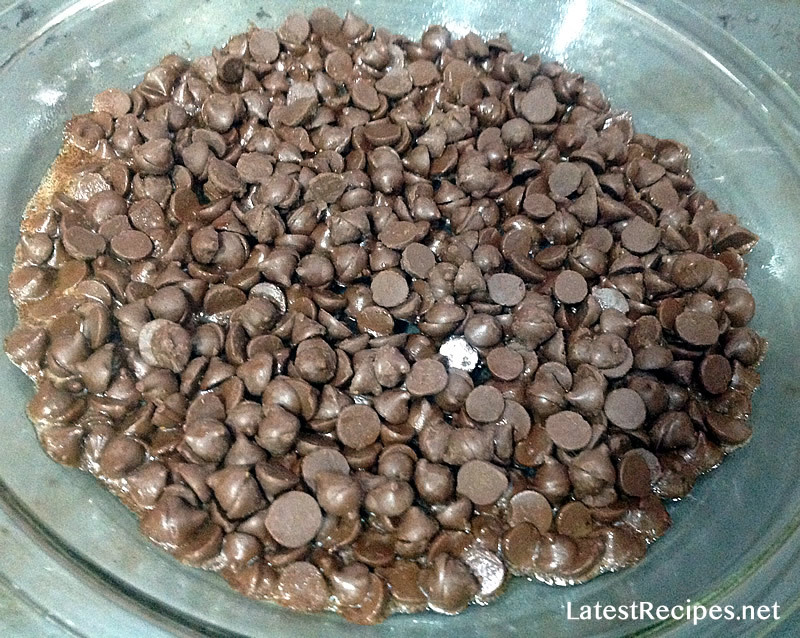 Arrange marshmallow halves over the surface of the chocolate chips, covering the chocolate completely. 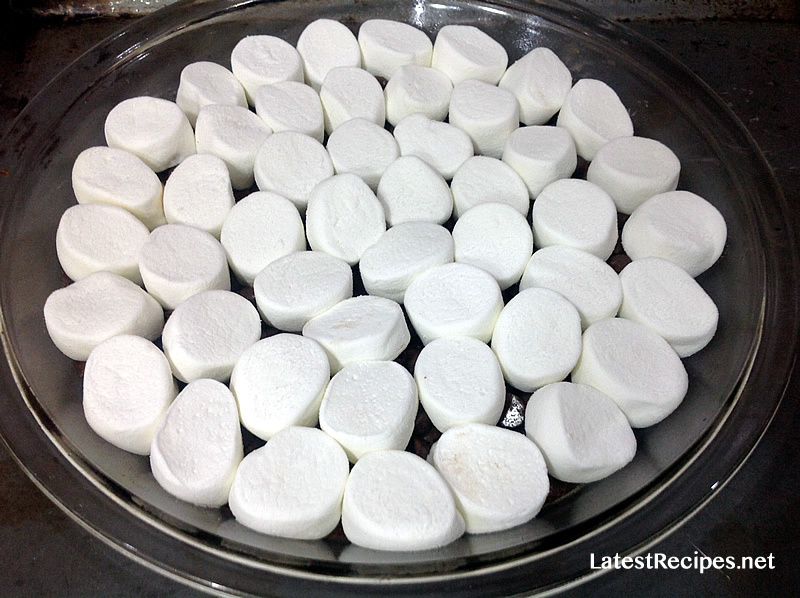 Bake for 5 to 7 minutes or until marshmallows are toasted to your preference (watch closely!). Use an oven mitt to remove the skillet from the oven and allow to rest for 5 minutes. Serve immediately with graham cracker squares or sticks.